Details of the original article, in part derived from original documents concerning Grandmaster Chee Kim Thong's description of the special spiritual character of one particular rare, traditional Shaolin Boxing System -- Luohan Ru Yi Quan -- and guidance concerning the proper approach to study of traditional gong fu, are provided below. "Over the course of decades, my Master, declared in his lifetime a 'Living National Treasure of the People's Republic of China', taught me many Forms, Styles, and Disciplines of traditional Shaolin gong fu. The knowledge of Shaolin Boxing that he imparted to me has been a profound and enduring influence upon my work as a dedicated teacher of traditional Chinese martial arts.The knowledge that my Master imparted and the experience of teaching this to people of Western culture and others (including the Far East) has with the passage of time made me aware that the real essence and dynamics of Shaolin gong fu tend towards purely spiritual goals: through the very real hard work, related suffering / endurance, and dedication that pursuit of the Arts entail these goals are attained -- they are not attained easily, and certainly not by 'short-cuts'. One has to 'taste bitter [suffer] before one can taste sweet' [attain results that are real rather than superficial]. Shaolin gong fu is therefore not a matter of mere peerless practical fighting technique. It is, rather, a uniquely effective means, perfected over many, many, centuries by the Shaolin Temple Warrior Monks for attainment of spiritual objectives; foremost of which is the Buddhist value of self-mastery [perseverance / tolerance, and freedom from worldly emotions and perspectives]. To attain real 'gong fu' is not at all an easy matter, for it entails a genuinely humble, receptive attitude, and years of dedication and perseverance in training. This said, attainment of genuine Shaolin Boxing gong fu will be understood by its practitioners to be important not so much as a fighting technique / art, but rather -- and much more importantly -- as a means to realisation of the spiritual goals of self-possession, self-mastery, and a profound awareness of the rhythms of Nature and the importance of cultivation of the Buddhist values of kindness / compassion. The splendour of Shaolin gong fu comes only in part from the brilliancy of its styles and techniques: for those who are prepared to properly study, persevere, and train in the Shaolin martial arts the rewards are much, much, more rewarding and are of a spiritual kind. Over the years I have taught and continue to teach many students. This has been and remains a most instructive and positive experience for me. And so, I would like to share, at this point the thoughts and wisdom of my Master -- provided in teaching guidance notes [from the original hand-written documents] -- concerning two topics: firstly, that of the motivations and attitudes to training of students, and secondly the philosophy and nature of one of the most rare arts (Luohan Ru Yi Quan) of the great heritage of traditional Shaolin gong fu". 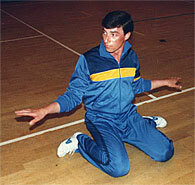 “I have been teaching martial arts for more than 40 years. I have taught many types of people -- wealthy and poor, intelligent and stupid, cunning and honest. The problems I have encountered are many, yet times of happiness have also been frequent. They hope the more they study the better: There are too many styles of Wushu, needless to say the different schools are many and varied. The Forms in our school are very many. With all the time in the world they are hard to perfect, but students want their teacher to teach them something new everyday. To learn a new thing every day is bad for the student. If one day he is faced by an attacker, because his techniques are all over the place then he will be badly hurt. Students must learn each set well, without the desire for gain and with patience. The student should study well the foundation and the skill, and only then will he be able to use it. They hope to reach the secrets through study: The greatest secret of martial arts is perseverance ... only with regular practise, regular study and regular research can results be made. The majority of teachers hope that their disciples will quickly progress and achieve good success. They unceasingly correct and instruct, but do the students have the perseverance? If they do not then the greatest secret will be of no use. Actually the secret is only practise makes perfect and nothing more. It is only through the experience of studying. If a student can unceasingly practice and research, then he can discover many secrets. One of the most important secrets is to correctly practise the Sets. Loafing on the job and resorting to trickery: There are a few intelligent students of above average ability who very quickly learn the basics and always ask the teacher in the hope he will tell them how to use the techniques, and think they have it all once they get a superficial interpretation. I know it, I know how to use it, and that's enough. But what they have is just the surface. Then one day he crosses arms with another student and realizes his level is too low, and blames the teacher for not teaching him the secrets. Not having a speciality: Today study Shaolin, tomorrow Taiji, the next day study Bagua. This type of student obtains an undeserved reputation. People say that teacher is good and he says he has studied with him. They say another teacher's gong fu is terrific and he says he is his shifu. Everyday he has a new shifu and new gong fu. In the end this kind of person will achieve nothing. Not able to 'eat bitter': Real gong fu is hard work; stance, training gong, training the qi, sparring all includes suffering. It is hard work and difficult to study, but if when you practise you loaf about, quit practising and deliberately shirk, eventually you will have nothing -- so how can you have real gong fu. So students, the most important thing is to be sincere, diligent, able to endure suffering and seek excellence. Step by step make progress, gong fu is Not talking about it, it is practised through physical effort and suffering. The reason the gong fu of people of ages past was so profound was because they studied with such effort. The people of today study for a few years and consider it enough. This is a real pity." “The Chan Sect of Buddhist belief started with Dazun, and there are many Buddhist disciples that emphasize the study of the Way of the Mind. But few are those who know of the relationship between the Shaolin School of Wushu and Buddhist Xin Fa. Shaolin Boxing has been passed down from the monks of the Shaolin Temple. But those that put the Way of the Mind first are few. Because this boxing art is very difficult to understand and hard to train, students often feel at a loss and unable to make progress and give up half way. The highest state of Buddhist Xin Fa is the communication of good feelings -- now does the art of boxing have these type of demands? Yes! But few are those who can teach and those who have an opportunity to really learn are even fewer, because those who learn this boxing skill need great intelligence and have to fully understand its nature before they can achieve it. When Master and student train this type of boxing no sound is uttered, training is done with arms in contact, with corresponding internal qi, and as the breathing becomes refined, the more you practise the more well built it becomes, and the more relaxed one becomes. By way of training 'qi' and 'yi' into 'gong' at the same time one should pay even more attention to the cultivation of kind feelings. All that the Shifu can explain and express are just a few guides to the Way. What is inside the student can only be known by him. So how to succeed? Just like when a person drinks water, only he knows how hot or cold it is. This set altogether has 108 different hand techniques not including repeated hand movements, to train once you need 45 minutes. You should practise 3 times a day, in three time divisions, mornings, afternoons, and evenings. This will be extremely good for your health. This will push your ability to use it, your Spirit and magnificent vigour to new heights. This Set includes the Dazun 9 Yang Gong, Wuji Gong, Tai Ji Gong, and Wuxing. Only the Dazun Jiu Yang Gong can make the internal qi pass step by step through the liver, spleen and lungs to inside the body and travel bit by bit to all the organs. No need to mention its use as a martial art, just this small section is enough to be effective in changing the tendons. Newcomers to this style may find, within 3 months, that they have small problems. If small sores appear on the hand, sores will appear by the side of the buttocks. Otherwise you might get upset stomach and emissions will be malodorous and black. This is the qi working inside, sweeping out what is unclean from the internal organs. Sometimes it will seem as if you have a fever, or a cold, but if you see the doctor and take his medicine there will be no effect, but your spirit will not necessarily be lacking in vitality. This is the result of the true qi surging through the body. This is what is different about internal gong boxing. Soft boxing is not necessarily internal gong boxing and hard boxing is not necessarily external gong boxing. Actually, the difference between internal and external gong boxing is whether, when someone is practicing a certain Form, that Form can make the internal qi flow inside and make the internal organs healthy. And afterwards be able to use the Mind to make the qi move, and cause the qi to become an air balloon to protect the body and transform the qi to jing that can be expressed by both hand and foot, and create outstanding internal jing. This style looks for stillness in the midst of movement, using the method of movement to train quiet gong. The hand methods are very complicated and hard to remember, the demands of the movements and intentions are very fine. Even more, the student must practise the hand techniques to an extremely natural and skillful level. Having reached a really deep understanding, you must ignore the hand and foot techniques. Pay then close attention to the aspects of breathing. Afterwards even the aspect of breathing one can forget, having oneself empty. There is nothing there and also nothing that is not there - boxing without Mind and Mind without boxing". In the world of today for all who have a general or specialist interest in the Great heritage of Shaolin Boxing, it is most important to always recall the question. Why should I learn Shaolin gong fu, and if I study and train, what may I hope to attain? The words of my Master, detailed above, I feel provide the answers to these questions. The rewards of study and training with a sincere heart, and diligently, are indeed priceless and are available to All those who seek them and persevere will Not fail to find very Great rewards. Master Alan Tinnion is head instructor and director of Qi China International, a Martial Arts Academy founded in the UK. He has a doctorate in Traditional Chinese Medicine from Shanghai University of TCM and over 30 years experience in clinical and martial art teaching practice. For further details about Master Alan Tinnion and Grandmaster Chee Kim Thong, please visit www.cheekimthong.com. The following descriptions of the rare and ancient arts given below were created by Dr Alan Tinnion, in his capacity as a much respected and trusted Inner Chamber Disciple of his Master, Shizu [Grandmaster] Chee Kim Thong, to provide proper accurate scholarly descriptions of Wujiquan and Luohan Ru Yi Quan on the Wikipedia website resource. The creation of both articles was due to a general lack of accurate description of these systems for reasons explained below. Parts of these systems have been taught to a limited number of individuals of the Chee Kim Thong Lineage, but they were taught in their entirety to Dr Alan Tinnion on a personal direct basis by Grandmaster Chee Kim Thong who felt him worthy of preserving and teaching them in their unaltered, accurate forms. The transmission of the two systems took place over a number of years. 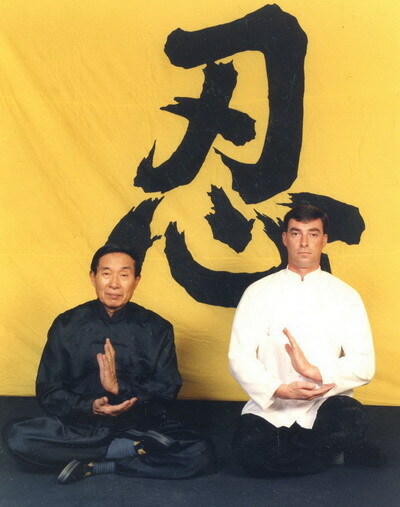 Wujiquan and Luohan Ru Yi Quan were taught to Grandmaster Chee Kim Thong by his final and greatest teacher, the Chan Buddhist patriarch of the legendary Southern Shaolin Temple [Fujian province], the Very Reverend Abbot Yik Cha’an Cha’an Sze . Please also see the ‘Spirit of Gong Fu’ article in the Articles section of this website: this provides further information about the Luohan Ru Yi Quan system. Wujiquan (Chinese (無極拳): Pinyin: Wujiquan; Wade-Giles: Wu Chi Chuan): ‘Ultimate Void Boxing’: A Rare and Secret Ultimate Void Boxing Skill, and Mother Art of Taijiquan; from Wuji comes Tai-ji The Wujiquan System is composed of 36 ‘Characters’: 18 kinds of natural climatic phenomena, and 18 of Qi applications. Wujiquan’s origins are ancient, belonging to the age of the renowned legendary Chinese physician, Hua Tuo (c 208), or even earlier times. As its name and the names of its individual 36 Characters indicate, it is derived from ancient Chinese, Daoist and pre-Daoist (shamanic ancient Chinese) concepts such as Yin-Yang, and also from natural climatic phenomena. 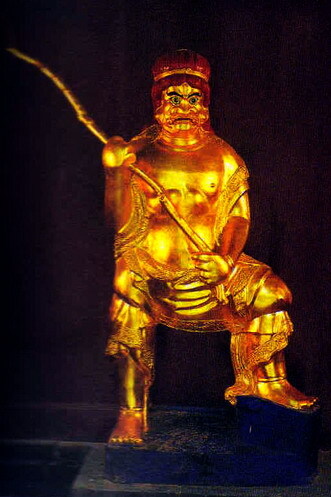 The name of its creator(s) is unknown, but it is understood to have been originally taught at and included amongst the ancient systems taught at the Shaolin Temple (Songshan, Henan Province, China) from its early centuries until at least as late as the era of the Sino-Japanese Conflict (1937–1945). 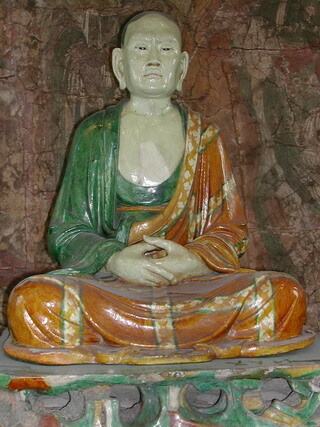 The authority for the assertion of the ancient origins and teaching within the original historical Shaolin Temple System from very early times is derived from one of the last Abbots of the Putian, Nan Pu Tuo (also formerly known as ‘Quanlin Yuan’), Southern Shaolin Temple (Fujian Province). The Abbot of this historic temple, the Very Reverend Yik Cha’an Cha’an Sze taught this system (and Luohan Ru Yi Quan, and 18 Arhat Boxing) over the course of 3 years to his disciple, Grandmaster Chee Kim Thong (c 1920–2001) prior to the fall of the temple and invasion of Fujian by the Japanese – Grandmaster Chee gave the system the nickname of ‘Shaolin Tai-Ji’. Luohan Ru Yi Quan [ Hanyu Pinyin ]: literally ‘Luohan “As You Wish” Fist.’ This set altogether has 108 different hand techniques, and includes the Dazun 9 Yang Gong, Wuji Gong, Tai Ji Gong, and Wuxing. A rare and secret high-level Shaolin martial art: it should not be confused with the much better known Eighteen Lohan [or Arhat ] Boxing System. The system is also known by the names, ‘Printing the Red Palm [Push attack],’ and ‘The Old Man Set’ (an informal name for the system known within the Chee Kim Thong Nan Shaolin lineage). The origins of the Luohan Ru Yi Quan system are unknown, but certainly date from an early period of the Shaolin Temple’s martial arts history. 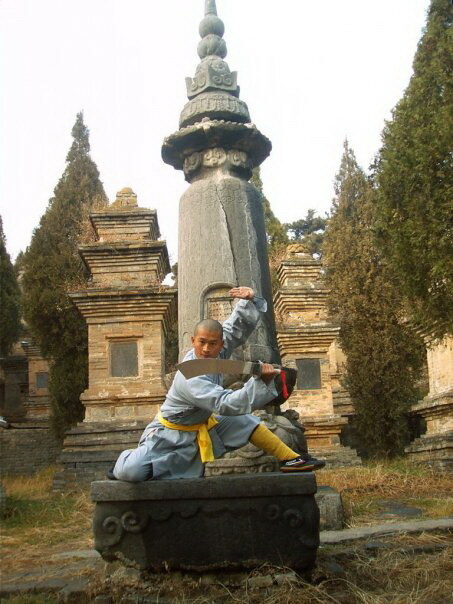 As with all of the Shaolin martial arts, and in particular the highest level ones such as Wujiquan, it has a spiritual meditation development purpose separate to its martial applications. In comparison to the predominantly ‘yin’ characteristics of Wujiquan, Luohan Ru Yi Quan is more robustly ‘yang’ in its fundamental dynamics and visual impact. It is known as ‘The Old Man Set,’ ‘As You Wish Fist,’ and ‘Printing The Red Palm,’ because it contains mastery of techniques which only the most gifted Shaolin gong fu masters and traditional Shaolin fighting monks of old attained after a lifetime of patient study and exceptional success in fighting application. With this level of gong fu reached, the Luohan Ru Yi System enabled its practitioners to use techniques, to ‘push through’ any form of attack, and defeat or kill the challenger. The Head of the Qufu Shaolin Martial Arts School (China), Master Shi Yan Jia, has in furtherance of the shared educational partnership with Qi China Iinternational kindly provided an article detailing the daily life of the Shaolin Monk. His account provides a most important description of life at the renowned Songshan Shaolin Temple and the special inter-relationship between the world renowned heritage of Shaolin gong fu and Chan [Zen] Buddhism. Shaolin Kung Fu is technically speaking the martial arts system of attack and defense movements that uses forms (series of moves combinations:套路 taolu) as a basic method of training. Both the moves and their combinations are based on Traditional Chinese Medicine’s theory about the working of the human body. The cultural and spiritual aspect of Shaolin Kung Fu comes through its essential roots in Chan Buddhism, the first belief shared by practitioners. This is especially the case in regards to wisdom and strength; for wisdom, the Buddha Puti Damo (below left) is worshipped to and for strength, the Buddha Jin Na Luo Wang (below right) is taken refuge in. 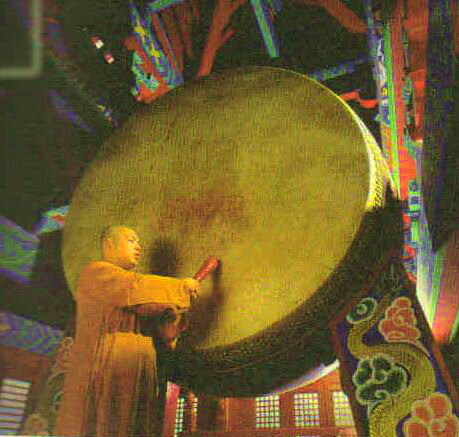 Early at five o’clock every morning, the monks of the Shaolin Temple arise with the striking of the gong. They join together to start the first morning class of the day, lasting for 90 minutes. At 06:40, monks mindfully join a line in the Zhai Tang (place where the monks have food) to have breakfast. Before and after the meal, monastic chanting is carried out. Every monk has his own alms bowl with food in it and is not allowed to leave anything uneaten. During this meal time, everyone is to keep silent. Between 08:00-09:00 the monks study Buddhism where dharma learning is taught to cultivate knowledge and wisdom. Between 09:10-11:30, there is study time to practice Kung Fu at the back of a nearby mountain. 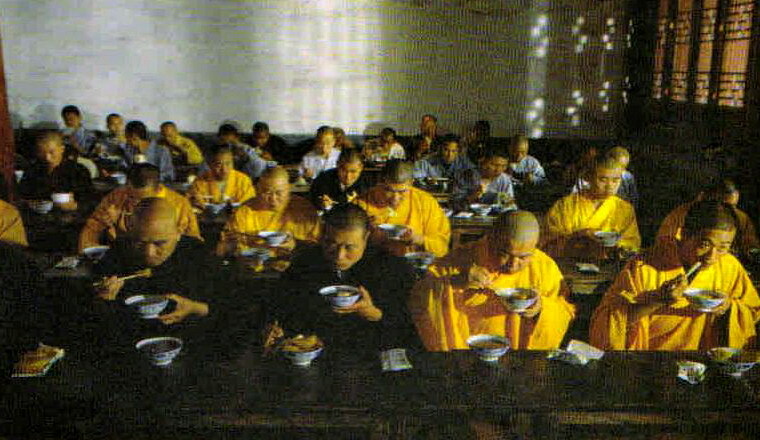 Lunch is then taken afterwards at 11:40 in a similar manner to breakfast, some grand masters and scholastic monks however do not eat lunch in order to enter fully into their monastic life and study. Afternoon training time then takes place between 14:00-17:30. 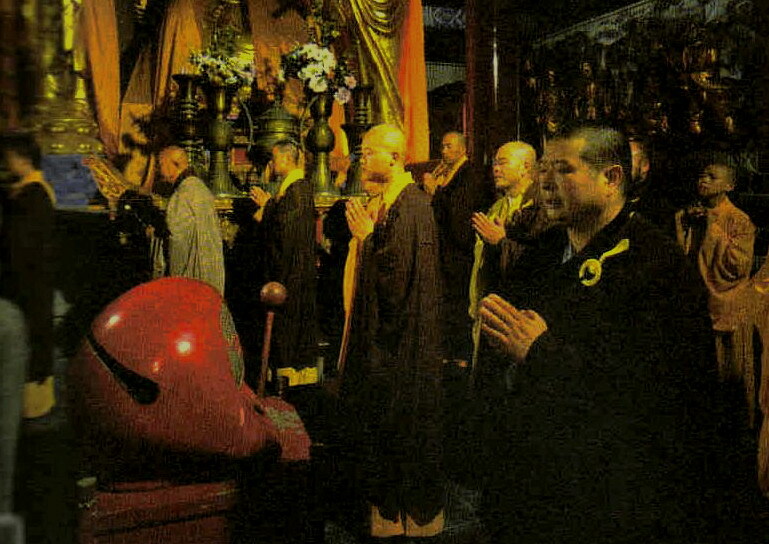 After a short rest, members of the temple go to the monastery for evening chanting which lasts an hour. The final part of a day is a 45 minute meditation period followed by a period for self-study that lasts until the sound of the bell again at 21:30 which signals the end of the day. 2. 仰慕 Admiration: Feel moved by the sprit and character of Shaolin Kung Fu and so be naturally energised towards it. 3. 抱负 Ambition: Start to plan your life again after the feeling of your heart and making the decision to learn Shaolin Kung Fu. After setting a specific goal, set your mind to realize that ambition in your lifetime. 4. 痴迷 Enthusiasm: Make a self-affirmation of the goals chosen and pursue with a one-pointed determination of love and dedication. 5. 行动 Action: Adapt your goal to specific courses of action and start to practice Shaolin Kung Fu. This will be a hard learning process. 6. 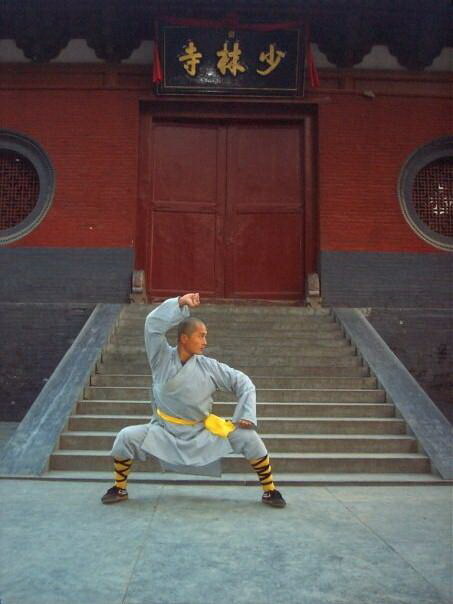 认识 Understand: Come to rational knowing and the cultural connotations of Shaolin Kung Fu. 7. 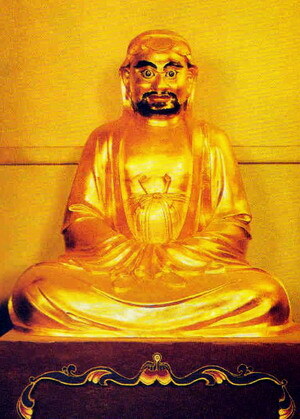 信仰 Faith: Start to transform rational understanding into a deeper understanding about Buddhism. 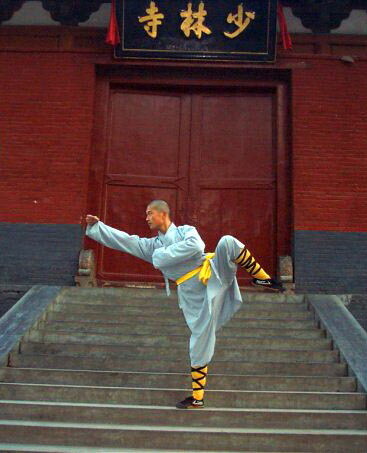 Shaolin Kung Fu is considered one way of learning Chan Buddhism (and so named “Wushu Chan”). 8. 感悟 Awareness: Practice Shaolin Kung Fu from a deeper self belief enabling practice to become not just a goal but an effective path to becoming aware and realising the essence of Buddhism. 9. 见性 Nature: From learning Shaolin Kung Fu, develop a full understanding about wisdom and strength, see the truth of life and the universe. Master Shi Yan Jia (Wei Shifu) is a 34th generation Shaolin Disciple of the current Shaolin Temple Abbot the Venerable Shi Yong Xin, came to the Shaolin Temple to learn Shaolin Kungfu from the age of 8 years old and stayed there for a further ten years. He is currently ranked at level 7*. He has 8 years of experience in teaching Kung Fu to international students from all over the world and giving performances to many people. In the 1st national Shaolin Kung Fu competition Master Shi Yan Jia was awarded first place in traditional Shaolin Fist form and Shaolin Spear form. At the 9th Sports Meeting in Henan province, he also won first place for his Shaolin Staff routine, and in the championships of Zhengzhou, he came first in the Traditional Sword form category. Master Shi Yan Jia's school is located in the historic city of Qufu (eastern Shandong Province), hometown of the great Chinese philosopher, Confucius. The world of today with its consumerism, slick advertising, computer technology and accompanying largely rootless, superficial values is a far cry from the world Grandmaster Chee was brought up in. One of the concepts most difficult for the modern, Western mind to grasp is that of Discipleship. It is a concept poorly understood, and perhaps a little tarnished by its connotations of religious fanaticism, not to mention an apparent surrender of a large portion of personal liberty, with the disciples’ freewill being sacrificed to that of the Master. However, in the world of Old China, to be a disciple of a true Gong Fu Master was both a great honour, and ultimately a protection. The concept of traditional Gong Fu discipleship is based on the wisdom that in surrendering a little, one gains much more. This is unsurprising in a part of the world where the spiritual philosophy of Daoism and to a certain extent that of Buddhism thrive, for both teach the supreme spiritual and practical value of self-mastery [essentially mastery of ones negative emotions, through the application of rigorous self-discipline]. ‘Ten thousand battles, ten thousand victories. Better to remain quiet’ ‘Ten thousand words, ten thousand arguments. In other words empty vanity and boasts, lead to needless trouble and danger for the martial artist who fails to live by this wisdom. In Old China, if a Master could not for all he tried, conceal his nature and powers, many would be drawn to him to request instruction in the arts to protect themselves from violent men in troubled times, while others would look to him to protect them. In this way a recognised master would attract many followers from amongst which a small band of the most potentially gifted for learning the arts, would become his martial arts disciples. These principles and the phenomenon of the Gong Fu Master-Disciple relationship survived into modern times and changing circumstances. The youth and early manhood of Grandmaster Chee fit the age-old pattern of the tradition, and is the very material of which Gong Fu legends are made. In his latter years the tradition was maintained but with some evolution to fit the circumstances of the modern world. Men who loved the arts for those arts sake – the traditional reasons for seeking discipleship - and who wished to undergo the full rigours of training which went with the honour of being a disciple, were waning as life became less harsh, and more consumerist. Yet violence and men of violence still troubled the part of the world Master Chee settled in: so the desirability for seeking the protection of the name of such a Master through association, remained. Moreover, due to a variety of factors Westerners increasingly became aware of the legends and powers attributed to Gong Fu masters. Some became so enamoured of the glamour of the arts as to try to form connections with Chinese Gong Fu masters, and most of all with Grandmasters, of whom few remained, and of these one of the most renowned was Master Chee. In these changed circumstances we find that the concept of discipleship went through some subtle evolution. 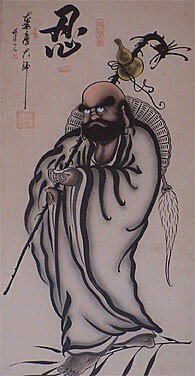 There were students (who so to speak only ever received the ‘Mao Pi’ [‘hair and skin’] of the teachings of a Master and his System: ie they were only taught the surface level teachings and no more), disciples, honorary disciples, and Inner Chamber Disciples: these last constituted those most akin to the disciples of a master in China of old. 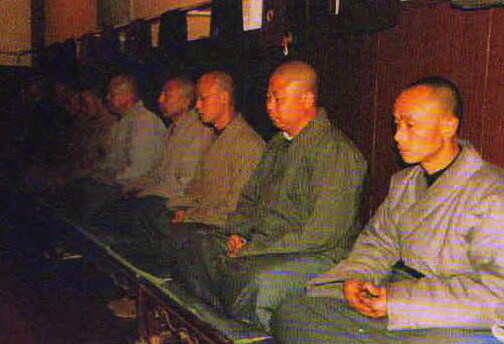 Inner Chamber Disciples were few in number, a mere handful of select individuals – of which Shifu Alan Tinnion was one - who underwent the full Rites of Initiation. Of all types and grades of disciple, the Inner Chamber Disciples were the most important, and most senior in the traditional sense. Others may be more senior in terms of age, and these in line with traditional Gong Fu etiquette were always accorded respect, but this respect should not be confused with the special kind accorded to the Inner Chamber Disciples in the personal esteem of the Master, for these were his spiritual sons enjoying the unique role and privilege of being the real Guardians of the Arts and of the Lineage. WHO WERE ‘THE FIVE ANCESTORS'? THE FIVE ANCESTORS were not individuals as such, but rather exemplary master-exponents of specific Gong Fu self-defence/fighting systems (and even then modified in their final stage of finished perfection by a sixth influence – ‘The Lady in The Green Dress [Hian Loo]). Wuzuquan is an art, having an infusion of five great systems. To learn more about the history of Wuzuquan please visit our Articles Page. Added to these were modifications by Hian Loo (The ‘Lady in the Green Dress’). Damo introduced Qi-Gong exercises to the Chinese monks and it is from Damo that the breathing techniques of Wuzu are derived. An Indian monk who travelled from India to Guangzhou (Canton) in 520, and thence by foot to Song Mountain Henan, where he settled in the Shaolin Temple (then hardly a century old): Damo (Bodhidarma) was the 28th Patriarch of Buddhism and the First Patriarch of Chan (Zen) Buddhism. At the Temple he found the monks in poor health, hardly able to carry out their important spiritual duties. At the end of his famous nine year long meditation (carried out in a cave to the rear of the Temple) he realised that his long period of sitting had atrophied his leg muscles to the point of immobility. He sought a remedy to this problem (and fortuitously to that of the health condition of his fellow monks as well) through specially devised breath control exercises, combined with meditation (mind-intent). Through these excercises his mobility was progressively regained and his vitality greatly increased, for he had generated and directed his qi through the qi-gong exercises he had discovered. These, he taught the monks, who were not only swiftly restored to good health and gained great powers of concentration, but also found aspects of the system could be used in self-defence. Damo is reputedly the creator of the 18 Lohan Hand Forms. 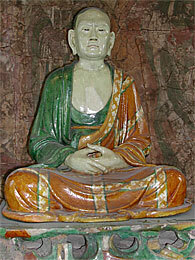 He pursued his travels once again having taught the monks Ch’an Buddhism. He inspired the writing of two famous books, The ‘I Chin Ching/ I Jin Jing’ (The Sinew Change Classic), and the ‘Sui King Chin/Sui King Jin’ (Washing Marrow Classic): both teach the meditation and respiratory techniques for developing the Qi and hand movements. The original Shaolin system. Luohan Quan was created by the expert monks of the Shaolin temple in honour of the 18 Luohans, or immortals. 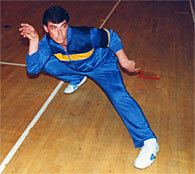 The characteristics of the system are correct posture, dynamic strength and internal power. The18 Buddhist Immortals, legendary figures whose affinity with mankind is renowned, gave their name to this distinctive ancient Shaolin boxing system. They encapsulate the generation of dynamic power through expansion and contraction of the muscles of the body and its limbs in unison with breath control techniques: the system is therefore not surprisingly renowned for its body posture and fist techniques. Each Luohan has a special name and distinctive characteristic appropriate to martial skills and powers: in the images and statues depicting the Lohan, each has either a symbolic object or a wild animal in close proximity. 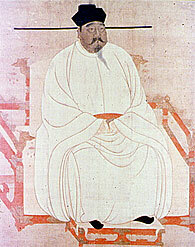 Zhao Kuang Yin, was the first Emperor of the Sung Dynasty, also known as the Sung Grand Ancestor, or Emperor Taizu, he was famous for his martial arts skills and established his own system, the majestic and graceful characteristics of which are proportion in one's movements, accuracy and a minimum of effort. The Emperor (reigned 960 – 976) was not only a great military leader and strategist, and a cultured caring Father of his Nation, but also an innovative pugilist. He was not the inventor of the first system of Emperor Fist Boxing (of which there are more than one variety), but gave his name to the greatest of these systems, so that Emperor Fist and his name have ever since been synonymous. The System is also known as Square Boxing, characterised by distinctive and emphatic linear movements which are visually deeply impressive. The System’s Hand Techniques are no less distinctive, being forcefully applied by simultaneously stamping and exhalation of the Dantien. Zhao Kuang Yin also invented a martial Form, using the Three Section Cudgel. White Crane comprises usage of the open palm; there are 8 forceful and dynamic hand techniques, complimented by 24 refined and delicate hand movements. The system was created by an unknown martial arts exponent who while walking along a riverbank was disturbed by the commotion of two cranes locked in battle. He observed the way they used their wings and beaks for defence and attack, and from these observations, modified and adapted the crane techniques into a fighting system. Shaolin Wuzuquan uses the Yinyang Baihequan School of White Crane techniques (one of four known in traditional Chinese martial arts). The unpredictability of the flapping of the Cranes’ wings is highly dangerous transformed into fighting application. Monkey Style, characteristics of which are its nimble and cunning footwork, agility, and evasive skills. Although small and apparently weak, the monkey is tenacious, extremely agile, fleet of foot, and hard to catch. In particular apart from its aptitude for grabbing, light jumping, controlled falling, and lunging, it is possessed of the ability to turn its hand and arm - once locked at the wrist - into a single, long, and very powerful hand, which it uses for defence or attack. Practitioners of Monkey Style apply the exceptional evasive tactics and fighting skills of the monkey to their own defensive and fighting techniques in a way which is extremely difficult to counter. Hian Loo, ‘The Lady in the Green Dress,’ completed the refinement of the Wuzuquan System with the most deadly of its techniques – DIM MAK – lethal strikes to the pressure points of the body. No less importantly she taught her fellow founders of the system the wisdom of being Humble in attitude, and discrete as regards demonstrating and speaking about the art they had created: a classic value of all true and high level Gong Fu martial artists. For some modern/twentieth century historians of Chinese martial arts, Damo is a controversial figure. Such scholars as Tang Hao, who deeply and dispassionately researched the historical records available, have concluded that there is no evidence to suggest that Damo did – or could have ever – taught the monks of the Shaolin Temple any martial arts. The truth of the matter can never be known, but at the very least it is certain that the health giving and sustaining Qi-Gong techniques attributed to him, are more than credible from the little we know of his life while at the famous temple. As to the reputed martial arts teaching dimension attributed to him, at the very least it is not far-fetched to assert that one or two of the most suitably gifted monks who knew him personally, to whom he taught his Qi-Gong and therapeutic breathing techniques may have put the benefits these bestowed to martial use. Whichever explanation be the true one, it is certain that Damo directly or indirectly has a unique place of honour in the System of martial arts to which his name is given, and which provides a most indispensable part of Wuzuquan.